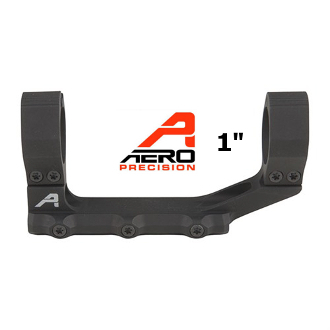 Featuring a rigid, lightweight design, the Aero Precision Ultralight 1 Inch Scope Mount complements many high-end optic platforms. This scope mount is designed to fit AR type upper receivers with Mil-Spec 1913 Picatinny rails and features a cross-slot keyway that offers excellent recoil protection. This Ultralight Scope Mount is designed to free you from unnecessary bulk, providing one of the lightest mounts in the industry.